Hand-painted Wallpaper, 320 sq. ft. 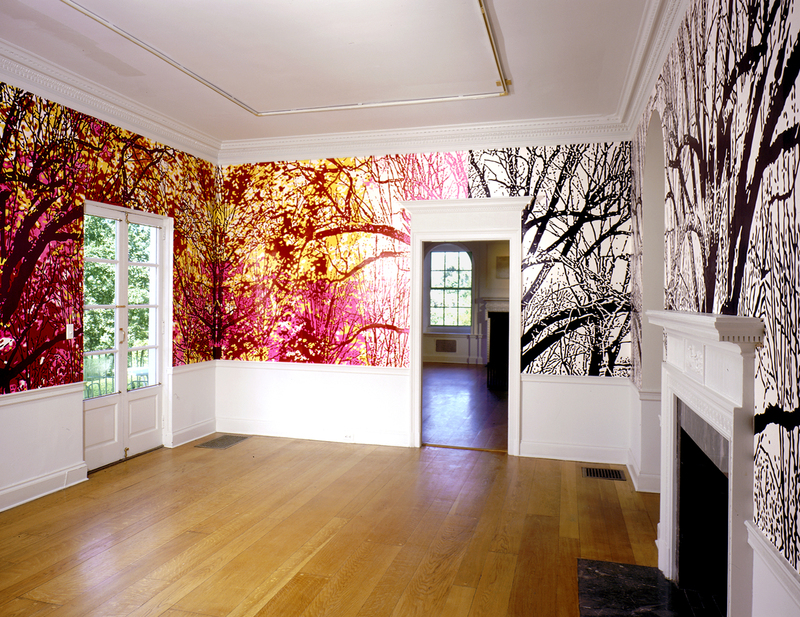 Inspired by the red oak visible through the gallery windows, this hand-painted wallpaper melds the unruliness of nature with the room’s elegant, ordered Georgian Revival features. 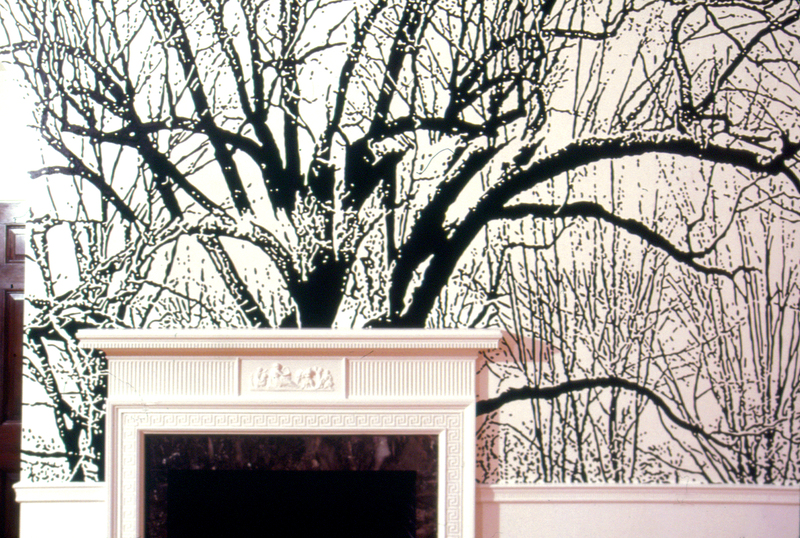 The tree is repeated four times, once on each side of the room; it moves in and out of focus, appearing to be abstract spattered paint in some areas. 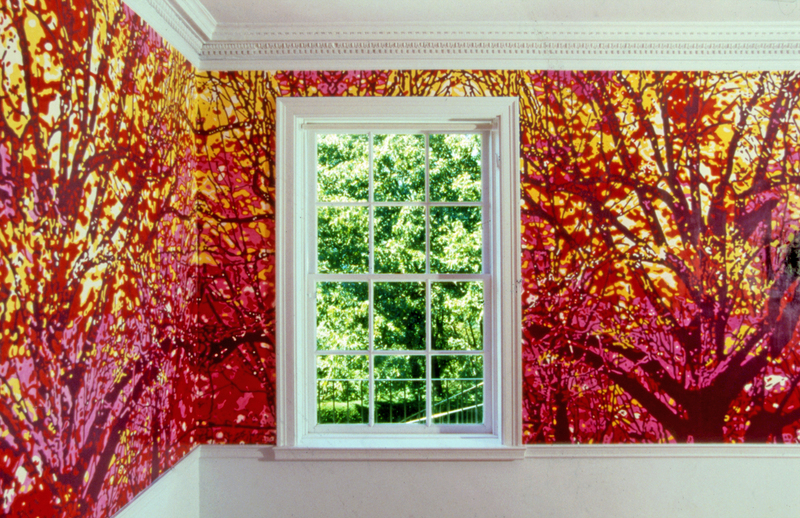 The tumult of autumn is captured by the frenzy of fiery fuchsia, red, yellow and purple on the west side of the room.